The wonderful Antoine Vanner of The Dawlish Chronicles has invited me to take up my quill and participate in the My Writing Process blog hop. It is an honour and a privilege to do so and my contribution can be found below. 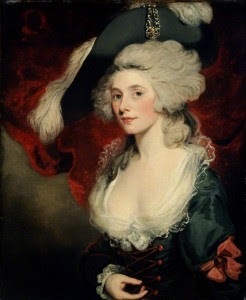 If a historical post is more to your taste, do read what the glorious Jacqui Reiter has to say! Regular visitors to the Guide will not be at all surprised to learn that I am continually writing, researching and looking for inspiration for my daily articles regarding life in the long 18th century. When I am not doing that, I have two works in progress on the go and many more clamouring at me for attention. Currently my primary focus is on completing The Mistress of Blackstairs, a tale of prostitution, gambling and villainous Viscounts. Once that is done, whenever that may be, I shall turn my attention to The Star of Marseilles, a rip-roaring romp through Revolutionary France in the company of a wildly scandalous playwright and a rogue female agent. That manuscript is still a very rough first draft so it is a long way from perfect! I am not sure that differs is the right word, I write historical adventures with a splash of romance and a streak of social realism, so it is important to me not to romanticise the period but to show life as it truly was. When I was growing up, my grandfather was the storyteller of the family and his stories were rarely of nobles and monarchs, but more often of the farmer or troubadour and I try to bring all of these elements into my work. There is something about the grittier side of the long 18th century that appeals to me and I love to explore themes that touch on everybody, regardless of rank and title. In addition, I do like to occasionally drop a few real personalities into my work so we might meet Pott on his way to the lecture theatre in the sober company of Dr Dillingham or even pass Desmoulins on his way out of the home of the demented citizen Tessier. It is simply because I cannot think of any other way in which I could pass such rewarding, enjoyable and sometimes frustrating hours. I am passionate about the period and was brought up with stories and history, so I want to share that. I am a planner. Once I hit on an idea I write down all of my thoughts and usually end up with a dreadful collection of cliche, drama and coincidence which I then put away for a few weeks as the ideas solidify into something a little less horrendous. I then write synopsis after synopsis until I am happy with the storyline, assembling character cards as I go. Once all of that is done, I write the first draft. Usually I end up deviating from my synopsis for the better, but it's handy to have it there in case I get off track! I used to go back and edit as I wrote but ended up with half a dozen unfinished manuscripts. Once I switched to writing and revising whole drafts at a time, things became much simpler for me. For my blog, I keep a spreadsheet of dates and events so I can easily select my topic for a day. I generally write a whole bunch of first drafts in one sitting and then refine them systematically. At the start my posts were very short and I wrote them a few days in advance but I have moved away from that approach as my posts have grown in size. Because I post every day, I couldn't sustain my blog if I didn't plan well in advance and I always have a number of posts ready to publish in addition to the first drafts requiring revision. The Sassy Countess is a house historian specialising in homes of wealthy Georgians and 18th century Americans. She blogs on material culture, as well as architecture, interiors, land, and social history. Jacqui Reiter has a PhD in 18th century British political history. She is currently working on her first novel, which deals with the second Earl of Chatham's troubled relationship with his brother William Pitt the Younger. You write beautifully! May I ask, how do you surmount the challenge of many writers--the dreaded Writers Block? Thank you, I am blushing! In the past I have had some most awful periods of writer's block with my fiction. The blog forces me to keep going because of my daily schedule, but when I am blocked with fiction, I put the project to one side and let my mind wander until I'm ready to return. Please do help yourself to the idea if it will help; I didn't think it would work for me but it does!